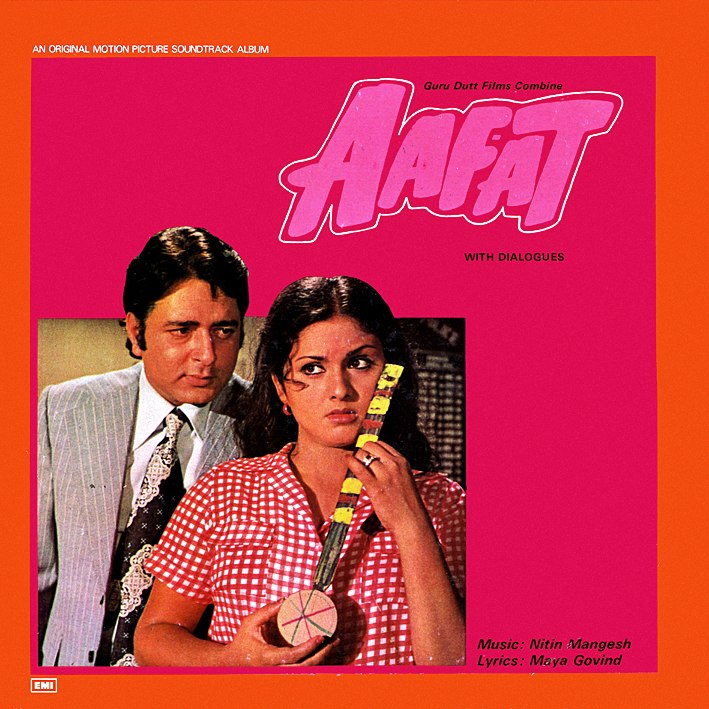 Both 'Aafat' and its musical directors Nitin Mangesh were unknown to me until a follower of MFT3F's Facebook page gave me a heads-up; I was intrigued and therefore pleased to find a copy of this not often seen soundtrack quite easily. It's very much in the vein of what better known music directors were doing around the same time, with several tracks to commend it: A great title music; multi-faceted like a miniature suite and dramatic throughout, the action packed 'Koi Kahe Main Khanjar Hoon', the funky, druggy and decidedly Burmanesque 'Yeh Nasha Jaan Meri Hai', and finally the fabulous effect filled and fun sounding 'Rajni Hai Mera Naam'. I'm no expert on Bollywood movies, but I doubt there are that many song & dance numbers featuring disembodied singing heads. I approve. Most of the songs are preceded by a good few minutes of dialogue, so the less patient may want to fast forward a bit. You're always the first to comment, litlgrey; I appreciate it. Don't have that one I'm afraid. Thank you so much PC for sharing this album.